Slow down guys. The game is still over a month away! Someone spray painted Baylor's RGIII statue with TCU purple. 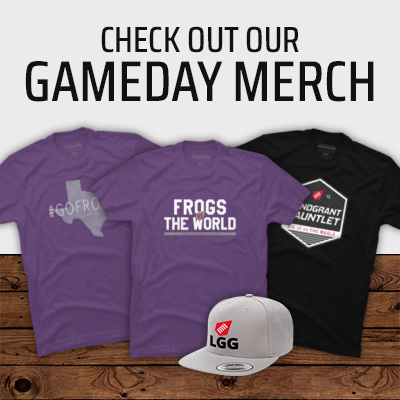 The Horned Frogs won big over a reeling Texas Longhorn team on Saturday. Coach Gary Patterson is going right at Texas before the game even kicked off. The good news keeps coming for TCU players Mike Tuaua and Andre Petties-Wilson. A broken collarbone has Horned Frog receiver Ty Slanina sidelined for the rest of the season. A little bit of good news for the Horned Frogs for a change. Texas heads to Fort Worth to face TCU in a Texas sized show down of two teams headed in different directions. TCU opened up the playbook a little bit against the Red Raiders on Saturday. Here's a look at the reverse pass that helped secure the win. No one likes to see injuries in football especially the number TCU has seen so far.